As two born and bred Australian enterprises, Southern Cross Motel Group and Merlo Coffee share a passion for quality products and exceptional customer experience. 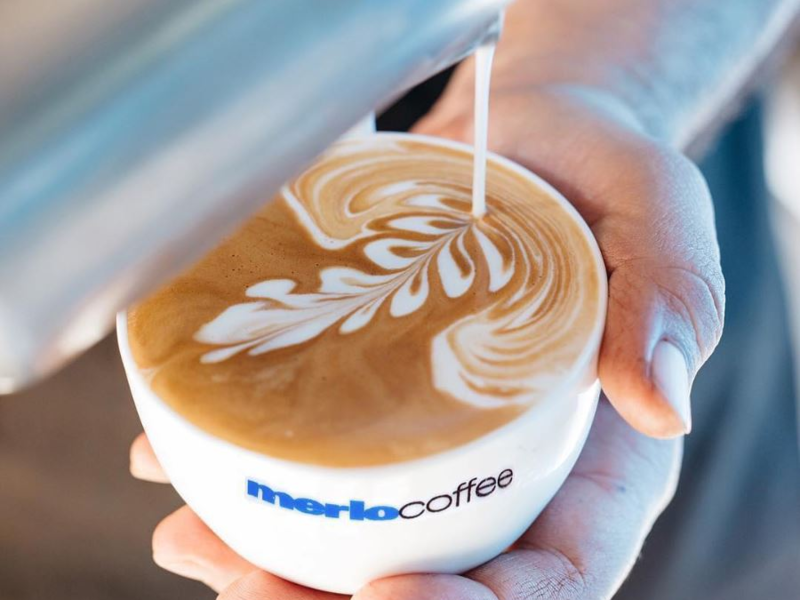 Merlo Coffee was founded by Dean Merlo in Brisbane in 1992 with the Merlo family having already been credited with first introducing Queensland to the European tradition of espresso 30 years earlier. Dean’s Grandfather migrated from Italy to Mackay in 1950 with his family and eventually settled in Brisbane, where his eldest Son, Gino, opened Café Milano in Queen Street Mall in 1960. With a La San Marco espresso machine front and centre, Gino taught Dean all he knew about coffee and hospitality. 25 years on Merlo has gone from selling 200 cups of coffee a day from a single store in Queen Street Mall in Brisbane, to supplying freshly roasted coffee to almost 2000 shops around Australia – and we are 7 of their regional locations! The best coffee beans are sourced from around the world and roasted daily in Brisbane and Melbourne so that the product we provide to all our guests, whether up north in Mackay or down south in Parkes, is always fresh and full of flavour.